What follows is a small sampling of cufflink makers, cufflink designers, wardrobe designers or cufflink merchants and their opinions on what is popular in English circles in terms of cufflinks. They make mainly standard and themed cufflinks; carried by stores like Harvie and Hudson." 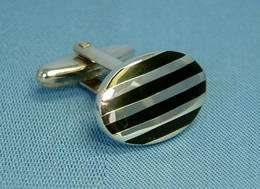 The most popular are the standard cufflinks (ovals and the other “classics”). A huge seller is the Spitfire plane. Rugby and cricket themes are also popular. Although the Churchill image is relatively popular, the English eschew idolatry and this is preferred by Americans who want to show their support. The English like white metal (including platinum). Rhodium plating of white base metals retards tarnishing. 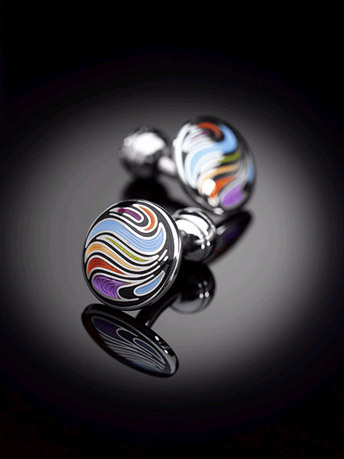 Fine Enamels trademark is to make their oval, rectangular and circular cufflinks a wider gauge than most makers which gives them both a heft and a uniqueness. This provides a surface interest which stands apart from the vivid shirt fabrics the English often choose. 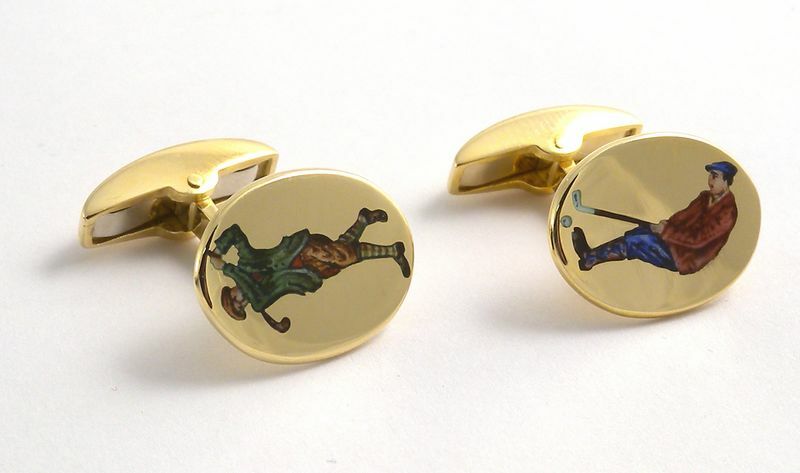 Rugby cufflinks by Fine Enamels, Inc. Available at fine men’s shops like Harvie and Hudson. For enamels, blue is by far the most popular color. Black or white are popular for weddings. Pink is also quite popular. Occasionally a wild color like Lime green will work; but only for a season. The London office worker tends to be more flamboyant than Britons across the rest of the country. Fine Enamels targets the gift market. That’s both sorts of gift; women buying for men and men buying them for themselves. Flying Scotsman also by Fine Enamels. It has an interesting “swivel” way of securing itself through the cuff. Sports themes are very popular. And as mentioned, the spitfire is a success, enough so to offer it in several versions. The English like the different regional flags too ( England, Scotland, Wales). Retails thousands upon thousands of cufflinks from the most expensive to the relatively bargain price. Their customer base is mostly England. Women have become a new and considerable element of their client base. Harold Cox of London sell a large variety of cufflinks in their brick and Mortar shop but also carry a smattering of their stock online. Harold Cox maintain that individual taste plays a huge part in English cufflink selection. Absolutely anything goes. Every conceivable color in enamels, and any shape from guns to lanterns. No cufflink request surprises them anymore. Englishmen indulge themselves and price is no object for the English to express themselves here. 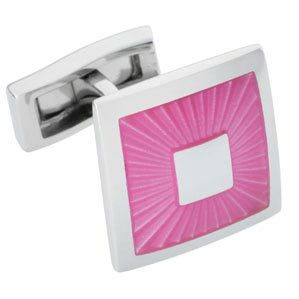 Linked cufflinks are more popular than clip back but the clips are catching up. There are no rules at all because the English don’t make judgments about cufflinks, just the manner in which they are worn. Tongue-in-cheek is approved of, taking oneself too seriously is not. The English like to be noticed surreptitiously. If someone wants a bottle of beer on a cufflink, they will make it up. Naked women? No problem. Pigs are quite popular, representing not just the pig farmer but the cult of the male chauvinist. Silver cufflinks were all the rage but that’s changing again. People get tired of the same old thing. Suddenly everyone is wearing cufflinks, men, women, older, younger. Clip backed styles are becoming very popular again. Novelty cufflinks are, and have been for a long time, used as a tacit way for the English to break the ice with each other. One cannot simply go up and speak to a person but if you see his cufflinks, you can make a comment on them. The bolder shirts won in the UK, demand stronger cufflinks too. Harrod’s, the great department store, number one shirt color sales resided with pinks. Generally, the English don’t like to spend a lot of money but for cufflinks they will stretch a bit to get what they want. The City of London is different than the West End of London in terms of tastes, backgrounds, messages. It’s tribal really. And tastes do vary. Central London will buy picture cufflinks but the North of England loves novelty and the Midlands seem more likely to go for flag styles. Cat’s-eye cufflinks are popular because they catch the light. Watch cufflinks and flashing light cufflinks also work very well in England. In America these traditionally would run you into trouble with polite company; although that is rapidly changing. Duchamp make a wide variety of colorful enamels that are always a cut above the ordinary. This firm is a tribute to colorful style that’s palatable for most English circles in the City. Many of their items add that touch of the dandy which the artist Dali was so fond of and carried off with such aplomb. 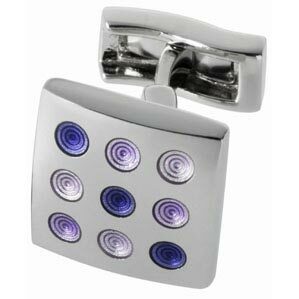 They make a variety of accessories for men but the cufflinks are a stand out. Often, finishing touches are what separate the well dressed from the individualistically well dressed. Duchamp’s success proves that the concept of the London dandy is alive and well. Designed by a City Lad for the City Lads. 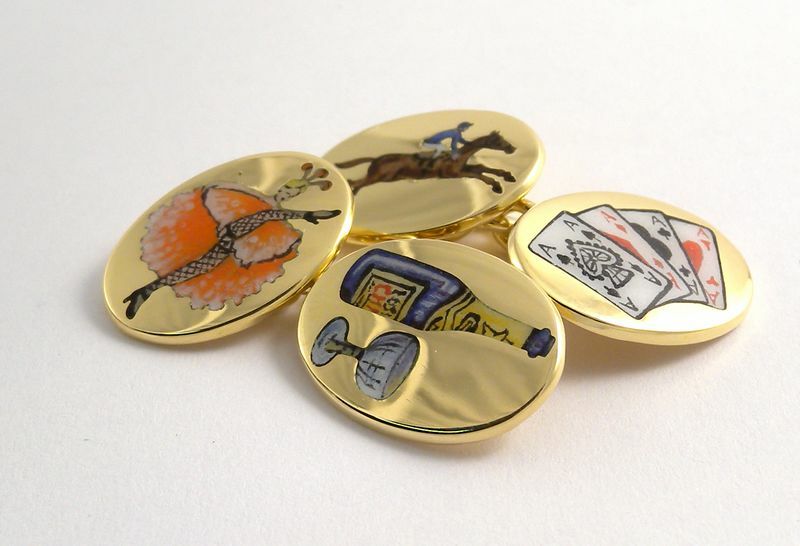 These cufflinks are brassy and clever and go perfectly with the City Trader aesthetic. 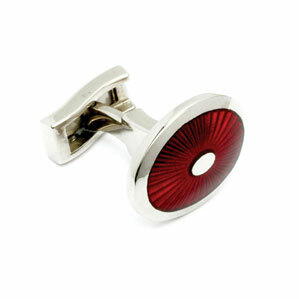 If you free yourself from self consciousness you can design cufflinks that express a pure mood. These cufflinks accomplish this. 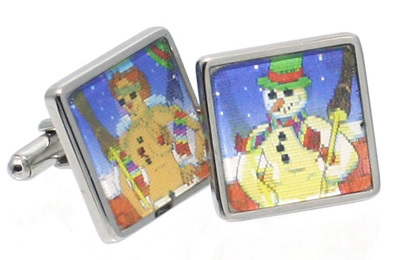 Their fiber optic cufflinks are quite hip, especially the “round sushi” and the “traffic” models. Actually the entire line lends itself to both old world tailoring and to a more contemporary look ala Kilgour or even Boateng. This is a fence the English straddle well. Their skull king demonstrates the English ability to make a joke about their tastes before someone else can and to take a piece “over the top” and give it style. Dunhill carry great cufflinks which have terrific modern design and are engineered in such a unique manner that one can always tell it’s one of their items. Some of the themes are quite edgy but still carry enough class and tradition to make them acceptable across the board amongst all sorts of English shirt wearers. Their Headlamp cufflinks and the spider are both particularly well executed but they make a variety of plainer cufflinks too. Dunhill are known for a very modern, stylized look which in some ways, ironically, is reminiscent of the 1970s fascination with pan-cultural modernism. When I look at Dunhill’s cufflinks, I see “stewardesses” in full uniforms, I see the panorama of A Clockwork Orange or 2001 a Space Odyssey as directed by Kubrick; I see Future Shock. Paul Smith has designed large and or bold cufflinks that still have enough self deprecating humor and class elegance about them to appeal to even the stodgiest English office worker. 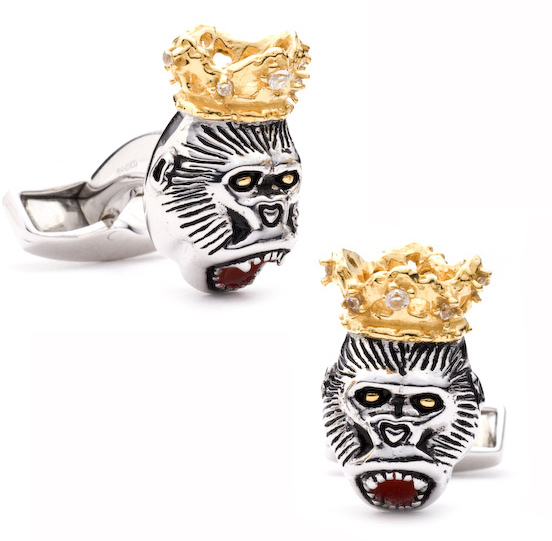 Year in and year out, this company designs humorous and slightly naughty cufflinks to adorn the cuffs of boldly checked and striped shirts. A favorite recurring theme is the flickering image of a woman who becomes undressed when the cufflink is tilted a certain way; proving that this company is expert in the art of clandestine style. Also popular are his mini cooper and cartoon images whether cut outs or actual illustrations under enamel. Paul Smith himself seems to embody the very essence of English eccentricity along the lines of City lad meets Jack the Ripper. 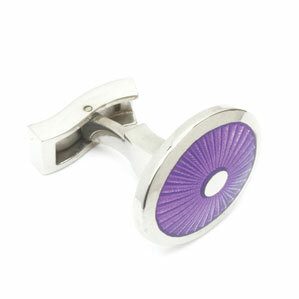 I have to say that Paul Smith’s cufflink designs are always ingenious and even when risqué are never outré. 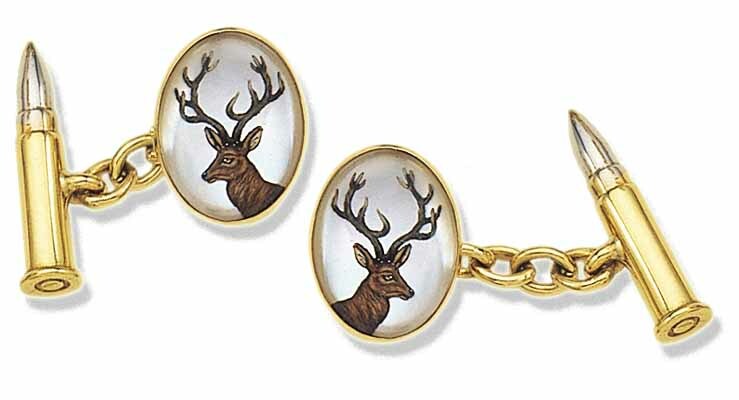 Deakin and Francis cufflinks are traditionally crafted even if they sometimes buck the establishment. 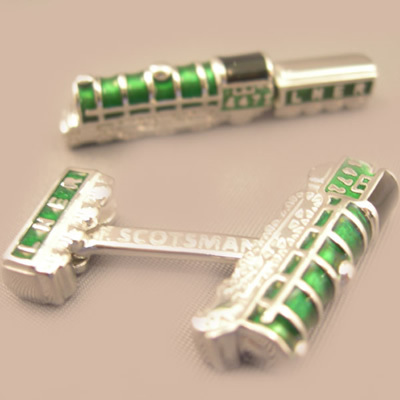 At this price level, The English become more traditional than other nationalites for cufflinks. The Gold ovals with your grandfather or great grandfather’s initials are still much slavered over by the English. The only difference between bar or chain attachments seems to be for people who want to get the cufflinks through their shirts a little faster in the morning; chain attachments often go on before the shirt is donned and one can then wriggle their wrist through the cuffs. The gold skull cufflinks are very popular, the ones where the jaw moves and forces out jeweled eyes set in the sockets; in fact at the moment, it is the bulk of what they are making. Also popular are the black gem encrusted skulls in rubies, sapphires, emeralds or black diamonds; one of four or five different models of skull they offer. Deakin and Francis for William and Son, London. A Viking helmet was a request made by a Chinese man to honor a distant relation. Aside for English predilection for chain links versus clip back or bar; tastes are very subjective. Thus the English will wear anything in their cuff, even a pair of bare feet in sterling as a gift purchase for someone running a marathon. The trend is back into yellow-gold metals for cufflinks. Of course they also make most of the finer enameled ovals one sees and they both come in a variety of diametrical sizes and are thin gauge making for an elegant cufflink. The heir of long standing British jeweler and accessories store Asprey opened this shop after the family business was sold. Thus their cufflink story starts long before William and Son opened their doors. In about the mid 1980s, English men were just starting to pay attention to details of grooming. Ferraris like 250 GTOs were very much in demand, going for as much as a million pounds at auction. An idea came to him to make cufflinks based on classic racing car wheels; black enamel tires with white gold spokes yellow gold wing nuts with a drum behind it. Porsche rims, Ferrari wheels with the logo on the front. They flew off the shelves. 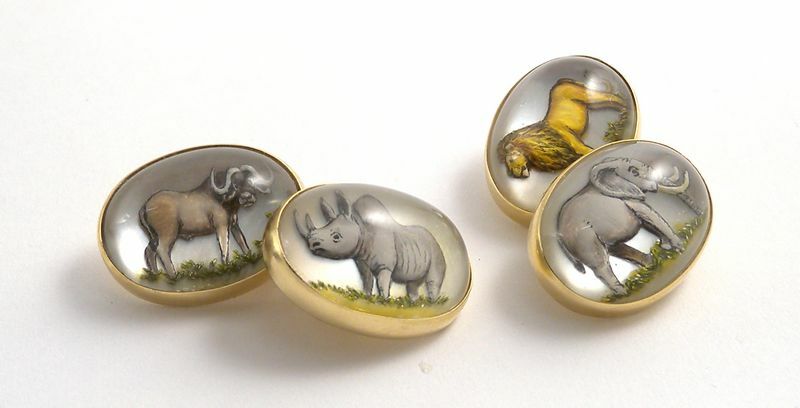 Before 1985 most cufflinks were more jewelry oriented rather than quality standard novelty ones. The standard was a classic yellow gold oval for given as a gift for an 18th birthday; engraved with either the family crest or their initials. Roy would follow the shirt color trends on Jermyn Street and would fire up enamel cufflinks in combinations that complimented them. Matching shirt and cufflink colors is an Anglicism which can be a very nice diversion for Americans who tend to focus on contrast. Fire kilned enamels were made in the 1920s and then died out but made a comeback in the 1980s. Offered in two toned colors such as, red and blue, blue and yellow, pink and blue, purple and aqua. 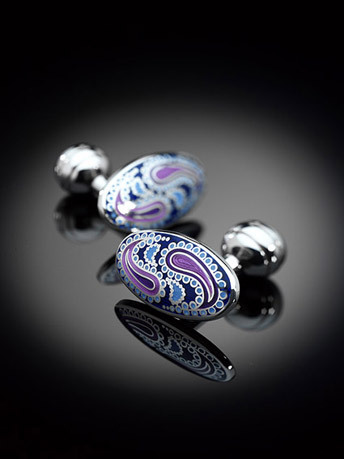 Today, colored enameled ovals are one of the most popular cufflink styles in Britain. Deakin and Francis do a lot of hand painted enamels on 18k gold which ensures that any lessons they teach will be valuable. Even in England where cufflinks were always popular, they are now more popular than ever. And the question is, do the English judge each other by cufflinks? It is human nature to size people up upon meeting them for the first time and they’re going to use certain bellwethers; shoes, watch, cufflinks and tie to see if people are up to scratch. In England a double cuff is not considered supercilious. The King of Norway (Olaf) always came to donate a Christmas tree in Trafalgar square as a tribute and sign of thanks to the Queen. Always wore a bowler hat and carried an umbrella. They made a black onyx bowler hat (profiled and flat backed so it sat flat against the cuff) chain connection and attached to a black onyx umbrella (unfolded) with tiny diamonds for the tips of the frame. The English like to be individuals but still want people to know that they have something valuable and desirable on their cuff. After Asprey was sold to the Sultan of Brunei, the oldest son of John Asprey, William decided to open up his own shop in 2000. They still cater to the whims of their clients. Sapphire knots (three bands of gold in a knot with a sapphire on the tip) for the Mandarins of the civil service; masculine hematite cufflinks with a mirror finish for the city lads to wear. Englishman like certain shapes and colors. Reds and blues, black and white, keeping it all classic and simple. The English still retain an image of the gentleman and stick to relatively safe colors, patterns and shapes. In terms of cufflink materials, the English are currently moving toward gold and jewels. More English men are buying their own cufflinks now and even the English women are wearing more and more cufflinks. Elizabeth Parker create a palatable cufflink for the “everyman”. In England, because the view is that a newscaster is coming into your living room and wants to be your friend, many savvy television presenters want to make a good impression and take pains choosing tasteful cufflinks. Others who wear more casual or less tasteful clothing choices hear about it from viewers! Is there a difference between a well dressed man and a dandy? Yes, dandy is a bit more quirky and more in touch with his feminine side. A dandy might have different stitching on his shoes, someone who pushes the edges just a bit. 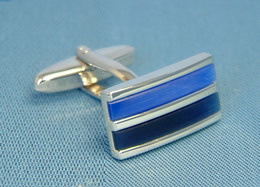 A smart dresser would wear a pair of cufflinks that were smart but “safe” and very simple in design. A dandy would wear something with a swirl; something not quite normal or average. 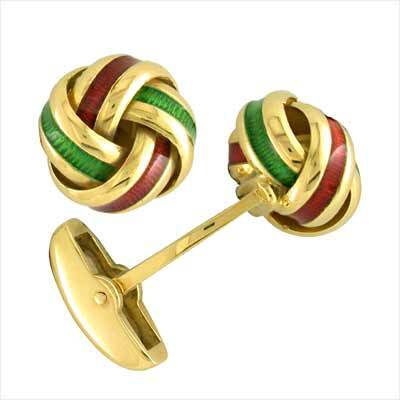 E. Parker manufactures a wide variety of cufflinks both a core range that their company wholesales and specific ranges designed for various stores or companies. Base metals, precious metals and tones are all used. Suffice to say they make a lot of cufflinks. Safe and sound with Elizabeth Parker. In America, the men want the cufflinks made bigger and/or chunkier for heightened notice-ability while the English rely more on the functionality and a smaller splash of color or reflection. In England, cufflinks are an add on, men don’t necessarily think about what they are looking for but they know what they like when they see it and the key is to provide them with those items that strike their fancy. This firm makes reasonably priced cufflinks of excellent quality for the wholesale trade. They make novelty, theme based and geometric cufflinks in sterling, base metal and enamels. They fit well against the shirt and they appeal to the English desire to look smart and live simply. Towlers cufflinks all go into the shirt cuff effortlessly and allow room for the wrist while still looking smart and remaining secure. Towlers knows what the English like and deliver it to them. Towlers also manufactures beautiful silk knots in an almost inexhaustible supply of solid colors and color combinations and in a variety of shapes. Towlers also supplies many shops in the industry producing collections to go well with a given season’s colors and patterns. 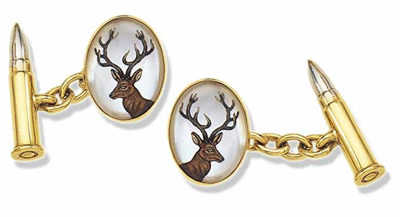 The English are wild about cufflinks as an expression of individuality. There will be tribal differences with the more discreet circles eschewing animal imagoes and some of the larger, louder cufflinks for smaller, enameled ovals, simple stones like lapis perhaps with a gold rim and a small ruby in the center or a mother of pearl set in sterling or gold which mimics an actual shirt button. 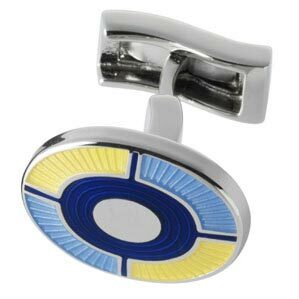 The English city lads like loud or striking cufflinks that cut through the busyness of their shirts but enameled ovals in simple two color combinations using blue, red, yellow, white and pink or plain sterling or gold ovals (sometimes domed) are the most common choices. Although the English are not a people to wear their hearts on their sleeves, they will wear hearts on their cuffs along with a variety of other shapes. It is all a part of the English need for snippets of deviance which relieve them of their normative rules of social behavior. Creative cufflinks are thus a symbol of the inner Briton clawing his way through his gray, icy surface. It is a part of their culture to wear interesting cufflinks that other people can appreciate and even smile at but outsiders can sidestep the repression that gives rise to this sort of display and merely enjoy the idea of wearing interesting and thoughtful cufflinks which do not have to cost an arm and a leg. I’ve appreciated your style from your days on SF* — and I must say that there are some gorgeous cufflinks on this page. I think that it takes a certain personality to wear “interesting” links without looking awkward.